"When you see the greatness in yourself and in others- friendship is always possible"
Friends At Home is a highly inclusive program that builds meaningful and ongoing relationships between Jewish children and teens. Weekly, pairs of volunteers spend time with their friend. Together, the group plays games, sports, crafts, reads books, converse and laugh together. 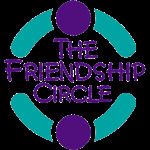 Our friends are specially trained in inclusion and in the interests and abilities of their friend in particular. The consistency of the weekly visits, the training, and the flexibility that the friends have in scheduling their visits and selecting their own activities result in strong bonds of connection that would not otherwise emerge naturally in the community. With so many opportunities to experience the joy of friendship, it is no wonder that FC members look forward to the weekly knock on the door that starts each Friends at Home visit!